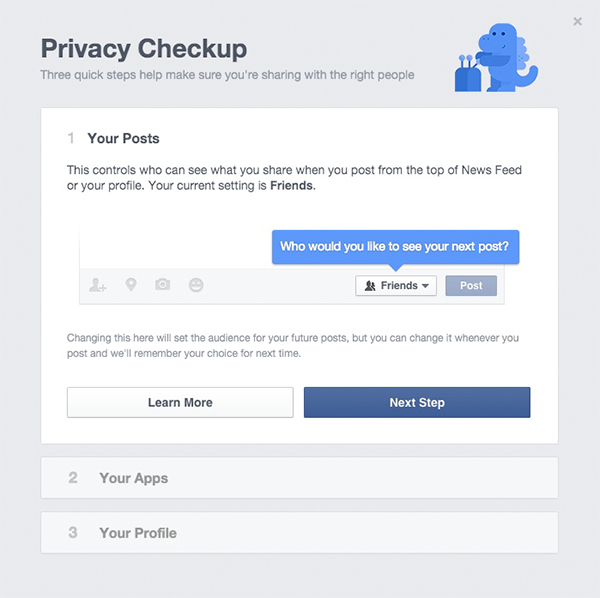 Facebook employs a helpful dinosaur to give your account a Privacy Checkup. Facebook privacy settings have become almost laughably complicated as the networking site has grown from a small college hangout to overwhelming town square. The more paranoid and tech-savvy among us make regular pilgrimages to the privacy icon in an attempt to keep a lid on the number of eyeballs that are privy to our bachelor party photos and whether or not we downloaded that Target coupon. But tens of millions of us simply ignore our privacy settings, which can lead to unintended sharing and other privacy violations. 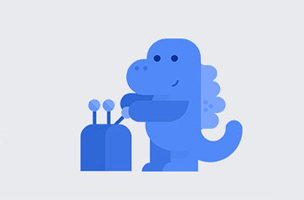 Earlier this year, Facebook changed its default settings to help mitigate over-sharing and introduced a friendly dinosaur character to a pilot group of users who hadn’t updated in awhile. Now, the dinosaur and the accompanying three-item Privacy Checkup are available to everyone. You may get an alert to check out Privacy Checkup when you log into Facebook, but if not, you can access the feature through the Privacy (lock icon) shortcut. It doesn’t cover every privacy option, but it’s a great place to start if you’ve been lax with your Facebook security in the past. Plus, if you spent your childhood in the 90s, getting important life lessons from a cool-toned dino buddy already feels familiar. Bonus points to Facebook that this dinosaur helper doesn’t sing.